Tweet Tonight has been the biggest, most ultimate fail ever. Two files I needed to put up some blogs I've been planning and both happened to disappear. Fannntastic. One of those files was a list of people I know who look like celebs. It's gone. So today's update that is [hopefully] going to bring back the repeating column [if you will] are two people off the top of my head. If you or someone you know looks like a celeb, let me know! Send me some pictures or links! Don't bother on getting their permission first... That's a waste of time. Up first: My friend MaryJoanna. 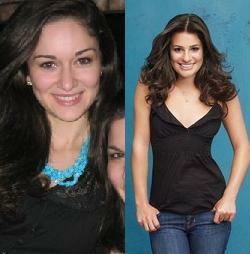 I never saw this until she posted a picture of Lea Michele on her profile, and now I totally see it. What's even crazier is that she's an amazing singer. 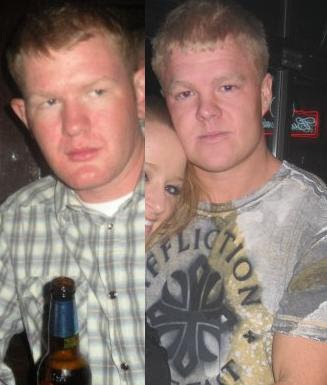 And my latest revelation is Clyde, who I think looks nearly identical to Kyle, Maci's boyfriend on Teen Mom. Do you agree with me? Do you see it too?! For any suggestions, email me, tweet me, leave it on Facebook... whatever you gotta do! Hopefully this can become a weekly thing again if I find enough.